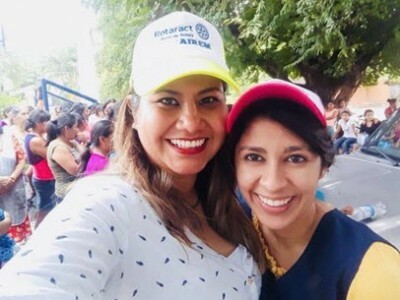 Briana Acosta shares a moment with her fellow Rotarian and roommate as they engage in service with a local community, a common activity for Acosta as a Rotary Global Scholar that she says has greatly contributed to her global health learning in Chiapas. Undergraduate global health alumna Briana Acosta has known since she was a child that she wanted to spend her life pursuing a career that positively impacts other people. When she discovered global health, she knew she had found the career she’d been looking for. After graduating with distinction from Duke in 2017 with majors in global health and cultural anthropology, Acosta is now conducting research in Mexico as a Rotary Global Scholar. Read more on the Duke Global Health Institute website.